UPDATE 2014-02-13: Here’s a one-page summary! So that was interesting and useful, and it would be good to do more. 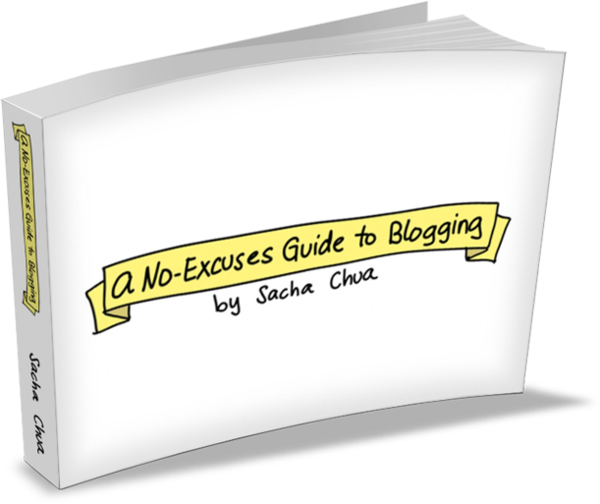 Here are some ideas for other “No Excuses”-type guides I might put together. 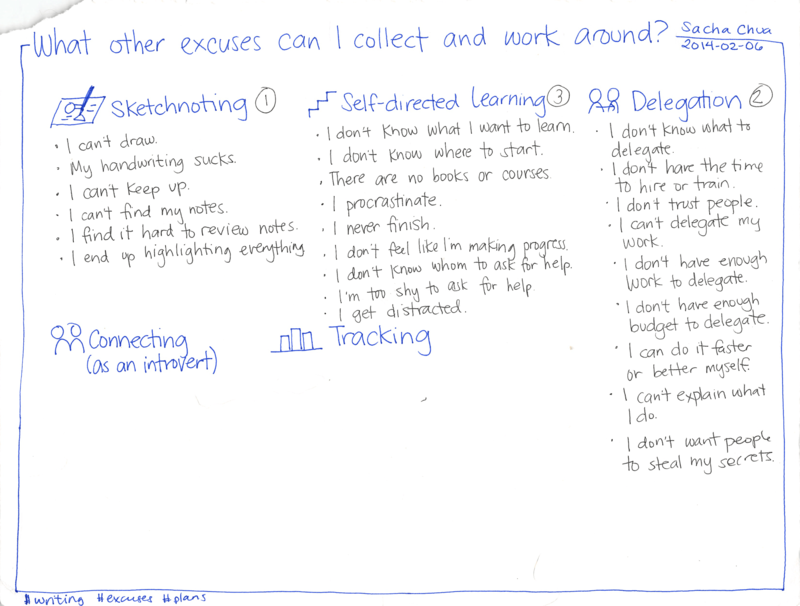 Maybe self-directed learning and delegation, actually, since other people are covering the sketchnoting bit quite well. Research lets you jumpstart your learning by building on other people’s experiences. Fortunately, you have access to more information than you could ever read, thanks to the wonders of the Internet. I’ve been re-learning how to research and how to synthesize that information for blog posts. It’s much more useful when you’re no longer trying to pad a school report with three to five reliable sources. Did you come across an interesting post on a blog? A great message on a forum? Go ahead and link to them, no PhDs required. 1. Make an outline of the questions you want to answer or ideas you want to explore. You’ll be reading a lot. It helps to have a framework that shows you what you’ve covered and what you need to look for next. Here are some outlining tips from Journalistics. Here’s an example: my outline for blogging skills. 2. Search for “good enough” resources. Don’t worry about finding the absolute best resource. Look for good-enough resources, and prioritize as you find more. Don’t link just for the sake of linking. Every link should add more insights or details. I usually go through the first five to ten pages of Google search results. If people quote an even better source, I follow that link. Sometimes I’ll try different search queries based on the titles of blog posts I like. You can quickly get a sense of whether a blog post is better than other things you’ve read. Does it give specific, punchy, perhaps unexpected advice illustrated with personal experiences, or is it your run-of-the-mill link-building blahblahblah? Speed-reading can pay off a lot here. Want to go into greater depth? Look for relevant books and read them, summarizing the key points for your readers. Google Book Search is great for searching inside books, and Amazon’s recommendations are handy too. I sometimes check out seven or more books on a single topic, read them all over a week, and pick out key points for a blog post. This is an excellent way to add value, because most people won’t have the time to read the same books. You can also check out other channels: podcasts, Twitter conversations, online Q&A sites, magazines, research papers… Go beyond blog posts when looking for resources, and you’ll find plenty of relevant material. Good news – you can’t lose. If you find excellent resources right away, then you don’t have to write a big blog post. Just learn from those resources, and maybe write a post with your question and links to the best resources you found. If you spend an hour searching and you can’t find anything you really like, that’s fine too. Chances are that other people are frustrated by it too. Take that as a cue to write the blog post you wish you’d read. 3. Add key points and links to your outline. By adding to your outline along the way, you’ll see how ideas are related to each other and where the gaps are. 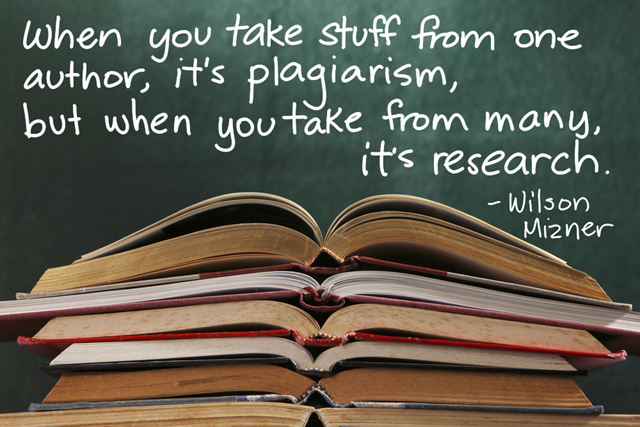 If you’re copying an exact quote, add quotation marks so that you don’t accidentally plagiarize it when rereading your notes. Better yet, paraphrase it right away. To make citations easier, add attributions or links. That way, you don’t have to chase down references. Here are Cal Newport’s tips on how to use an outline to write papers quickly: outline the topic, find solid sources, capture quotes, and then turn that outline into your paper. Works for blog posts too. 4. Reorganize your outline and notes. Take another look at your outline and reorganize it until the flow makes sense. The order in which you find resources is rarely the order in which you want to share them. For example, you may want to categorize the tips you’ve picked up, combine similar items, and arrange them in a logical order. You can also compare different viewpoints and line up the arguments for each alternative, then conclude with recommendations. With a little paraphrasing, you might be able to fit the tips into a creative mnemonic. Play around with the structure before you start writing your post. 5. Add value through summaries, insights, and personal experiences. While searching for resources, you might have noticed an intimidatingly large number of results. For example, searching for how to do research for your blog gets more than a billion search results. Why add one more? You’ve probably also noticed that many results are missing something. Maybe you didn’t find a single post that answers the exact question you wanted to explore (or if it did, the answer was buried in an intimidatingly long post). Maybe most of the search results are fluffy self-promotional pieces. Maybe they’re badly formatted and hard to read. There’s room for you to add something of value, even if it’s just a good summary. Other people could spend a few hours reading all those search results and books, and trying to map out the insights from various resources… but if you’ve already done the work, why not save them some time and share what you’ve learned so far? Add your own tips. While researching, you’ll probably think of a few points that you can’t find in the pages that you’ve seen so far. Write them down. Maybe other people didn’t write about those tips because they’re more experienced than you and they took that for granted, but other beginners will find those tips useful. Maybe other people didn’t write about those tips because you’re more experienced than they are (or at least you’ve made different mistakes). Add your thoughts. Tell personal stories. Instead of just sharing advice, share your experiences in applying that advice. What worked well for you? What could have gone better? This is a great way to learn more, too – you’re not just passing on advice, you’re trying things out and adding your own perspective. A.J. Jacobs and Gretchen Rubin do this really well in their books on life experiments, and are definitely worth reading. I hope these five steps will help you learn new things while writing blog posts. You don’t have to limit yourself to what you know. 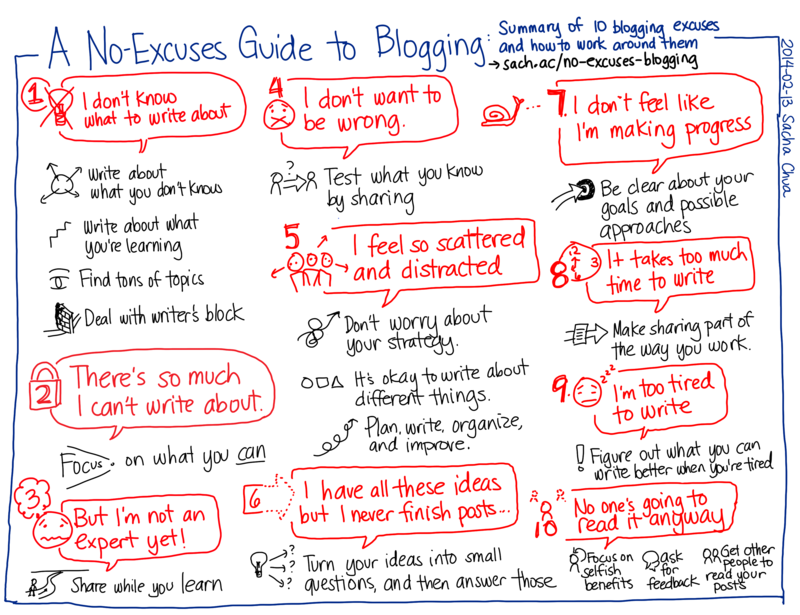 You can use your blog to help you learn. Good luck and have fun! How do you research ideas for your blog posts? Author’s note: I feel like this post should have more links in it, given the subject. I’m not particularly impressed with most of the posts I came across in my research, though (see the last point in step 2). Do you have any favourite resources along these lines? @gozes was curious about my workflow for transforming my notes and lessons learned into blog posts. Here’s what I’ve learned! Many people struggle with sharing what they know. 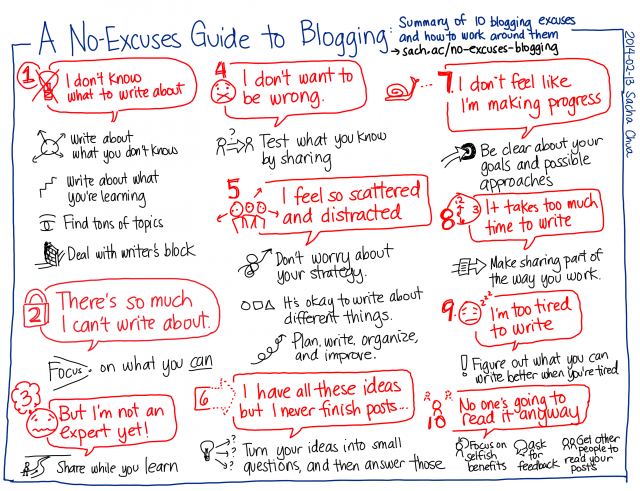 "I don’t have time to blog." "No one will read it anyway, so why bother." "I’m not an expert." "Knowledge is power, so I should keep it to myself – job security!" Let me tell you this: The time I take to share what I learn is the most valuable part of my learning process. I can spend three hours solving a technical problem or learning more about a skill, but the thing that makes it really worth it is the 30 minutes I spend writing about what I learned. The biggest benefit is being able to refer back to my notes. If I don’t write it down, I forget, and I’ve wasted the time spent learning. If I don’t publish my notes, I’m probably going to lose them. It makes sense to invest a little time now so that I can save time later. I can’t tell you how many times I’ve searched for something and ended up at a blog post I’d completely forgotten I’d written. Sharing lets me help other people, even if I’m not an expert. In fact, the best time to write is when you’re a beginner, because you run into all the things that other people take for granted. More selfishly, sharing helps me learn from other people. People ask questions that help me learn more. They point out where I’ve made mistakes. They share better ways to do things. And because we’re building these connections, they also pass along professional and personal opportunities. Sharing is an excellent way to learn and grow. Write early, write often. Don’t wait until you’ve figured everything out. I try to write a blog post as soon as possible instead of waiting until I can write a more comprehensive one. I try to keep my blog post focused on answering a single question or sharing one thought. This makes the post easier to link to, keeps it (relatively) short, and gets rid of any excuse that would let me procrastinate putting it out there. Write enough to help you remember. When I write posts, I want to include enough details so that I can re-solve the problem if I run into it again, place myself back into the situation if I’m reflecting on how things worked out, or share what I’ve learned so that other people can figure things out (or at least ask follow-up questions). I don’t need to answer everything. Sometimes I’ll skip explaining things because people can always ask me to go deeper if they’re interested. You don’t have to write a complete guidebook to everything, you just have to add more guideposts to the trail. I love it when other people have already done the hard work of writing something up. Then I can just link to what they’ve said, adding some thoughts of my own. If I can’t find a great explanation within the first few pages of a web search–or if I want to dig into something myself so that I understand it better–then I write my own post. Sometimes I can start with just a question and I go from there. I write paragraph after paragraph as if I was e-mailing someone the answer or talking to them in person. I jump around here and there to edit the text or add links. I write quickly, and then I post. Most times, I start with a rough outline or my technical notes. When I explore something I want to learn, I jump around an outline, gradually filling it in with what I come across. When I research, troubleshoot, or try to figure something out, I copy links and ideas into my notes. I’ve learned that it can be difficult to backtrack your steps to remember the things you tried, or remember the resources that were particularly helpful. It’s better to take notes and update them along the way, even if you find yourself sometimes going down dead ends. In terms of tools, I really like Org mode for Emacs because of its great outlining support. My notes are in plain text, so I can search or work with my notes easily. I can collapse or expand parts of my outline, and I can easily reorganize items. I can organize my post ideas into a larger outline. 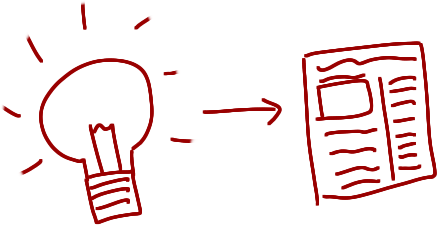 I can export to HTML and share it with others, like I did with the outline for this post. My outline also supports TODOs and integrates with my other tasks, so I can set deadlines, track TODO states, or even clock in/out to see how long something takes. When I’m happy with the outline, I start turning it into text. I write detailed outlines that include sections and the key points I want to make in paragraphs. (If you’re curious, the outline for this post can be found at http://sach.ac/outline#transform-notes .) When I’m happy with how the outline flows, I copy the outline and start transforming it into my blog post. It’s much less intimidating than working with a blank page, and I don’t have to flip back and forth between my outline and my blog post editor. Working with an outline gives me an overview of where I want to go with the post, and it can also hold my thoughts when I go on tangents. The outline doesn’t always completely translate into the blog post, of course. Sometimes I cut out snippets and stash them in a different place in my larger outline, for use in a future blog post. Sometimes I move things around, or add more explanations to glue paragraphs together. I sometimes have a temporary title, but I usually don’t know what the title could be until I’ve written the post. When I’m ready to post the entry, I add categories and sometimes tags to make posts easier to discover. 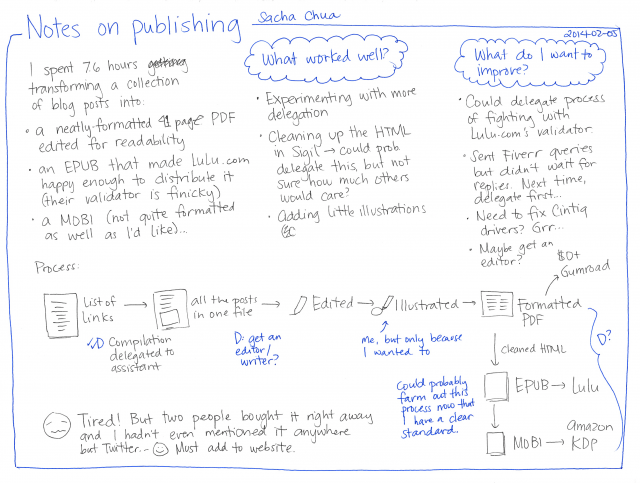 See When I blog with Emacs and when I blog with something else for a more detailed discussion of the tools I use for publishing. I often add images because that’s good practice for developing my visual vocabulary, either drawing stick figures or picking stock photos. Besides, the images break up otherwise-intimidating text. I’m learning a lot, but I don’t want to overwhelm people, so I try to keep it to at most one post a day. (Although sometimes I get excited and post anyway.) I schedule blog posts using the Editorial Calendar plugin for WordPress, and I use the Share A Draft plugin to give people a sneak preview. This lets me answer people’s questions with links to future blog posts. That way, they get the info they want, and everyone else will get it eventually. Writing about what I learned and reading people’s feedback often gives me plenty of follow-up ideas. I put those ideas back into my outline or TODO list, and the cycle continues. I’m working on getting better at tweaking the structure of my posts before writing them. As in programming, it makes sense to fix logical errors or flow issues earlier rather than later. Working with outlines can help me get better at thinking in terms of questions and the flow from one point to another, and it’s much easier to see and reorganize things there than when everything’s written up. I’m working on making posts more "scannable" with illustrations, headings, and emphasis. One of the tips I picked up from Beyond Bullet Points is that when designing presentations, your slide titles should make sense in sequence. I remember reading similar advice applied to writing. Paragraphs should also make sense when you’re quickly scanning the starting sentences, and people who want more detail can read the rest of the paragraph or section. I’ve still got a long way to go here, but I think I’m getting better. I’m working on organizing higher-level outlines. I’m getting more used to with outlining individual blog posts. The next step is to be able to explore and organize larger topics so that I can guide people through a series of chunks, perhaps with blog posts series or e-books. This will also help me plan my learning and build resources that guide people step by step. I’m curious about delegation or outsourcing, but I haven’t really made the jump yet. Would it be worth learning how to work with other people to flesh out these blog posts? For example, working with an editor might help me find ways to make these posts clearer, more concise, or more approachable. Can article writers or blog researchers add other perspectives or resources to these posts so that we’re learning from more people’s experiences, not just mine? I have to work through a couple of my concerns before I can make the most of this, but I think it might be worth exploring. Share your thoughts: What’s getting in your way when it comes to sharing what you learn? What could help? I always tell people not to worry about whether or not anyone will read their blog or comment on it. Just write. Write so that you can figure out what you want to say and how you want to say it. If you’re good, people will read you. If you struggle, keep at it, and you’ll get better. Hat-tip to Ruchi Bhatia for the link! Oh no! I’m stuck in the doldrums. is that a professional will deliver even when he doesn’t feel like it. figure out how to be a professional writer. Write for five minutes about anything. Sometimes it’s just a matter of getting the words flowing from my mind to the computer. Mindmap to see if the problem is that I don’t know what I’m talking about. If so, then this calls for some more research and playing around with Emacs. Tell myself that I only need to write about Emacs for five minutes. Just like in conversation, I tend to get carried away—but I have to start somewhere. Take care of my other tasks so that I’m not thinking about them. Deliberately not write until it drives me mad and I just _have_ to write. Random Emacs symbol: make-char-table – Function: Return a newly created char-table, with purpose PURPOSE. People often ask me how they can blog more. The easiest blog post to write is the answer. It is also the most useful. You start with a question, and you stop when you’ve answered it. 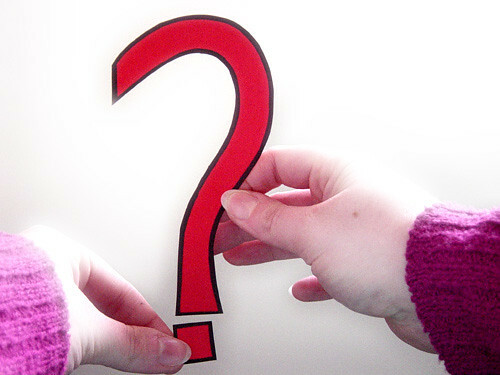 Where do you find questions? In your e-mail inbox, in your conversations, in your work, in your life, in the things you want to learn or do. Everything starts with a question. Always have questions. Learn intentionally. Make yourself a curriculum of questions you want to explore, and share what you learn along the way. Ask and you shall learn. You may not know the answer. Write as you figure things out. Share those in-between steps, the questions you ask, the partial answers you find. Show your work. Help people build on what you’ve shared. Watch other people who answer questions. Learn not only from their answers, but also their problem-solving techniques. Don’t be afraid to return to a question. The best questions teach you each time you attempt them. For example: How can I do this better? What is the meaning of life? If you ever run out of your own questions, or if you want to prioritize which answers might be more useful, look at other people’s questions. When you become the person who can answer questions – or at least give a good try – people will come to you with more questions. What a gift! You can spend a lifetime answering questions. In the process, who knows what you’ll discover and share?